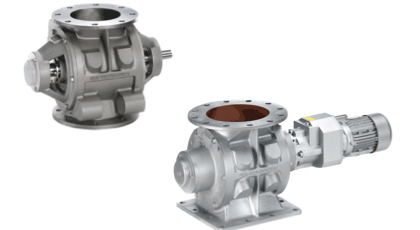 Rotary airlocks are precision machined components designed to deliver materials into the product stream with a high degree of accuracy and minimal turbulence. Different airlock designs provide different attributes depending on the application. Your application might require an airlock for maintaining air pressure, feeding product or both. We offer solutions with various heat tolerances, and sanitary configurations and finishes, as well as accessories.